What happened to Diablo 3? I had stopped playing Diablo 3 and I really did not consciously know why. 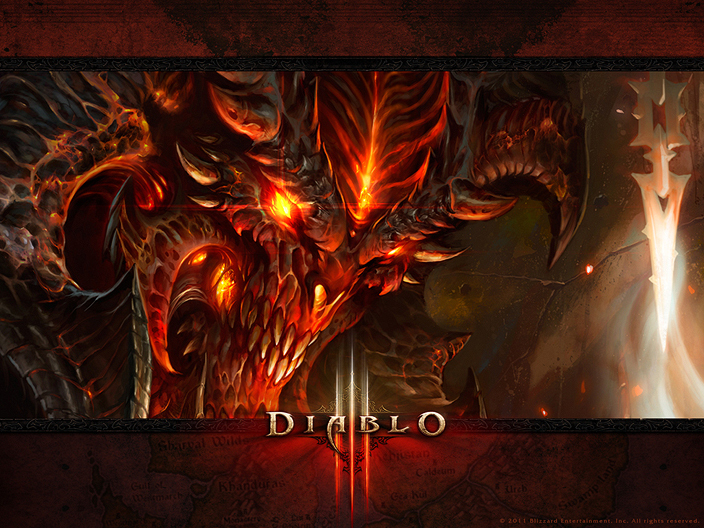 Now that I have beaten Diablo 3, I think I know why. It happens to me sometimes in MMOs, I finally get to max level and then lose interest in the character because the leveling process and content to support it is over. I knew that once I beat Diablo 3, I would be in that same predicament. Not to mention that further character development demands you play the same content over again with tougher enemies. If I am loath to do it for an alt, why would I do it with the exact same character? Been there, done that. So in the wee hours of this past Sunday morning, I broke the seal on the Diablo 3 storyline and experienced it all. I will say that it has you feeling very grand and epic in stature. The snowy keep in Act 3 and setting of the final act really had the feel of being areas under siege. The infernal area in Act 3 had some scenery that kept me wondering though. If one of those gigantic demons were to pluck my little monk off the walkway, the story would have been over. Why didn’t the boss from Act 3 have them do just that? Also I will say that the final battle just seemed tedious rather than challenging considering the previous boss battles. I do have one regret. Why won’t Blizzard let you view the story cut scenes that are rendered with the game engine? Not the CGI stuff and not the hand drawn animation cell looking stuff, but the stuff that is shown to you with the in-game rendering engine. Without spoiling anything, there is a plot reveal at the end of Act three and my internet went out and when I got back in, all I had was the option to proceed to Act 4. I could not replay what happened. Now I got the gist of it, but it made me sad that I could not somehow replay it. This entry was posted in General site stuff. Bookmark the permalink.